Brazilian animation Boy and The World has now arrived in the United States. The film from Ale Albreu has already picked up numerous plaudits including an Annecy Crystal and nominations for the 2016 Annie Awards- including Best Independent Feature. Some are even tipping it as a contender to pick up a nomination for Best Animated Feature at the Oscars. 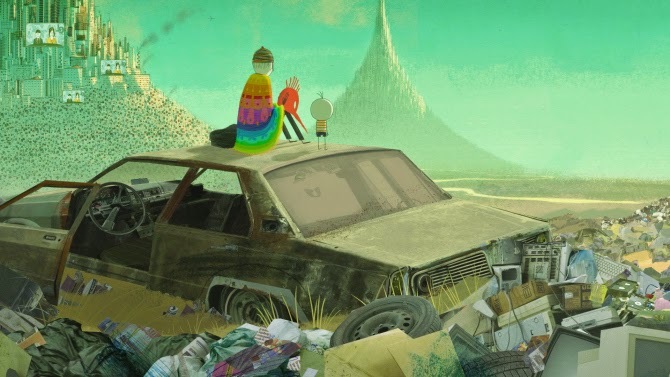 The unique hand-drawn feature opened in New York and Los Angeles on December 11th via GKIDS and will screen in select other venues over the coming months. If the film continues to attract more and more attention and acclaim, then expect considerably more dates and cities to be added before too long. Here is the initial list of venues (via the official site).